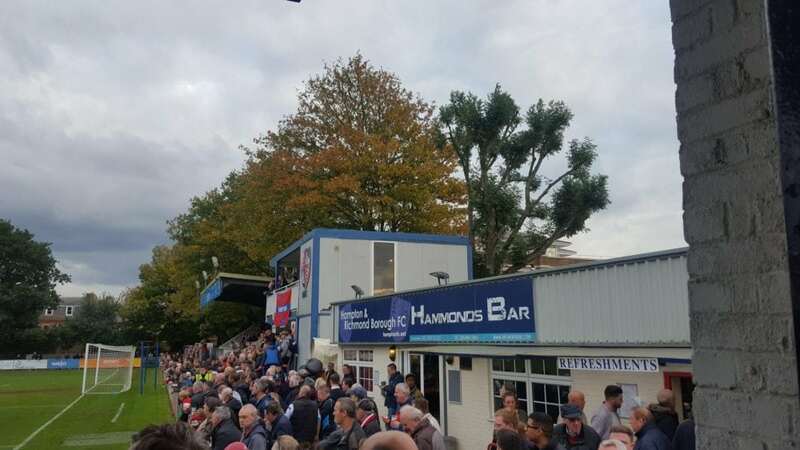 Hidden away in a leafy area of affluent suburban SW London, Hampton & Richmond Borough have ambitions beyond the National League South after finishing 7th in the league last season. Formed in 1921, for nearly 40 years, Hampton FC were just another village club in the Middlesex local leagues, with varying amounts of success, before attaining senior status in 1959 and entry to the Surrey Senior League. Improving year on year, Hampton won the Surrey Senior League title in 1964 and their application to join the slightly more prestigious Spartan League was accepted. The club enjoyed seven seasons of unparalleled success, winning the Spartan League title 4 times and never finishing outside the top four in their 7 seasons at this level. In 1971, they were elected to the second division of the Athenian League, and in their 2nd season, they finished runners-up as by now they had been accepted into the second division of the Isthmian League. The club became steady members of the second division but after the divisions were regionalised, a decision was made to split the leagues to provide a third division. Hampton had the misfortune to be on the wrong side of the dividing line. Their stay in the Isthmian 3rd division lasted just one season as they were immediately promoted back into the second division, despite finishing just outside the promotion places as a vacancy arose in the higher division. Hampton won promotion from the second division in 1996, and then won promotion into the Isthmian Premier League in 1998. Their stay in the top division lasted until 2003 when they fell back into division one. During this time, in 1999, the club added Richmond Borough to the name, to try and widen the club’s fan base. The appointment of former West Ham player Alan Devonshire as manager in 2003 turned out to be the catalyst to another period of success.They immediately an promotion back to the Isthmian Premier, and challenged strongly for promotion to the Conference South in the following seasons. In 2007, the Beavers won the Isthmian Premier League title in thrilling scenes on the final day of the season, and took their place in the Conference South. They quickly established themselves in the high league, and in their 2nd season, finished runners up to AFC Wimbledon. However, they were 90 minutes from promotion to what was then the Football Conference, but lost narrowly in the playoff final to Hayes & Yeading Utd. 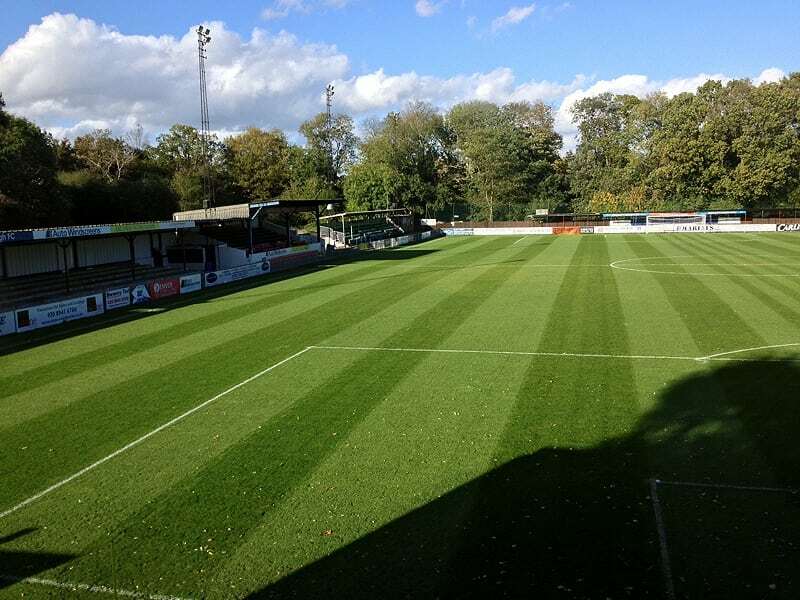 The club then began a slow decline, which saw them relegated back to the Isthmian League in 2012. Hampton found it difficult and after some tricky times, they stabilised under former Kingstonian manager, Alan Dowson. In his second season in charge at Beveree, he guided the team to the Isthmian League title, again on the very last day of the 2015-16 season. Under his charge, the club settled comfortably into the National League South, making a strong start, with star players Jamal Lowe and Nicke Kabamba catching the eye wherever the team went. Eventually, the two of them were picked out of the National League to take their places in the Portsmouth squad that won promotion from League Two, which to many Hampton fans, their chance was well deserved. 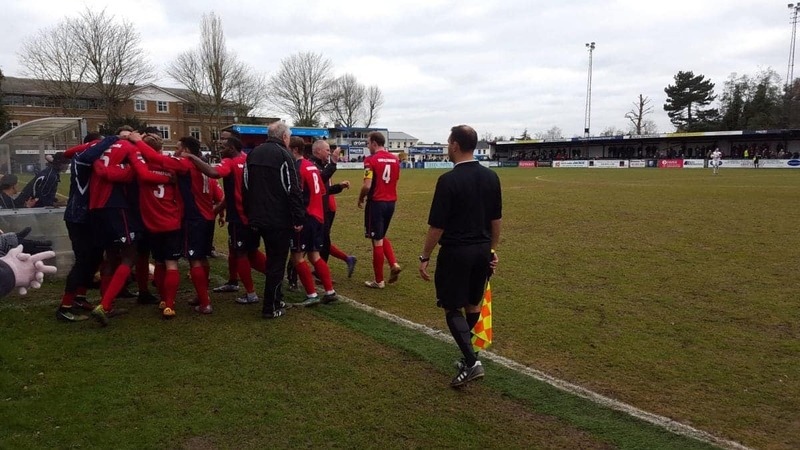 The team kept going and managed to stay in touch with the National League South leaders, finishing 7th and earning an unexpected playoff place, losing to eventual playoff winners Ebbsfleet Utd, as two teams above them were denied entry to the playoffs. Under new chairman Graham Wood, formerly of Gateshead FC, and past Hampton chairman, the club are looking to improve on that 7th place this season, and show that a little club like Hampton can make it in the modern footballing world. Off the field, the supporters congregate in Hammonds Bar, where the last match is enthusiastically debated with both friends and visiting supporters. In addition to the bar area, there is a spacious area for functions and meetings and the club have a sizeable number of events taking place throughout the year. Outside Hammonds, the Refreshment bar serves all those food items you’d expect at a football ground, – pies, burgers, hot dogs etc – all freshly prepared in front of you by the cheerful staff. All in all, a visit to Beveree is well worth the trip, and with admittance priced at £12 for adults, £7 for concessions, and just £3 for under 16s, its well within everyone’s pocket.